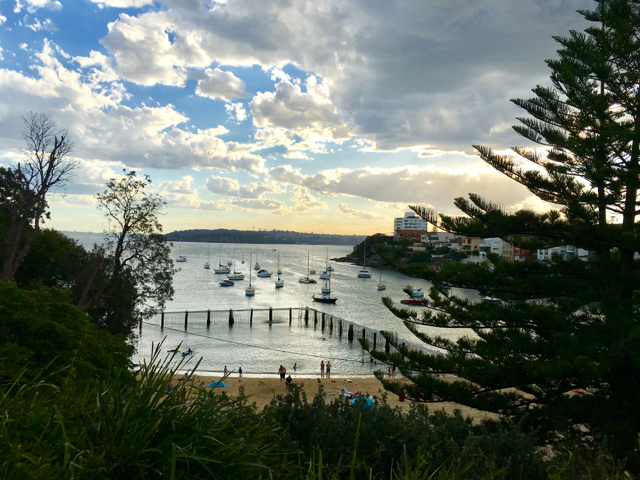 The Little Manly Beach (also known as Little Manly Cove) is located off Stuart Street in Manly which is a about 20 minutes walk from Manly Wharf. The Little Manly Beach is a great beach for children. We visited on a warm Saturday afternoon, did not find it too crowded and we were able to find a spot on the beach close to the water. The hardest part of it was finding a parking spot nearby and convincing the kids to leave the beach after we were there for an hour. When we visited, kids were playing in the rock pools next to the shark fenced swimming area. My little ones loved this beach and playing in the wet sand making sand castles. I wish we had taken our tent or beach umbrella to shade us from the late sun though. It is a great little beach for kids to swim around while being able to touch the bottom in parts and great for families to be able to sit on the beach while watching their older children swim without having to worry about waves, sharks or other things. 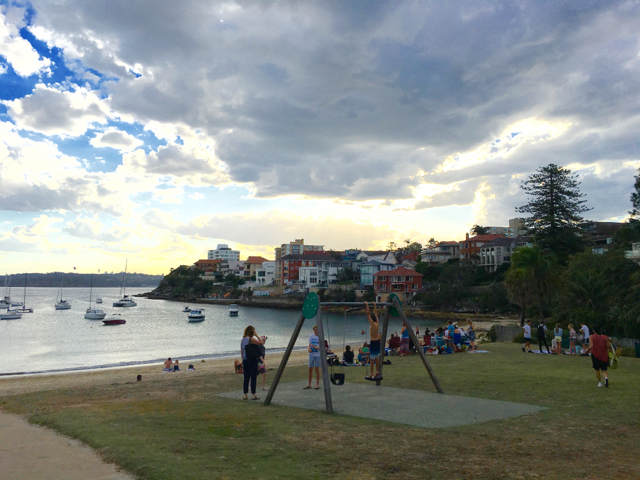 There is also a non-fenced swimming spot on the right hand side of the Little Manly beach as well as a swing set with a baby and child seat and a larger children's playground at Little Manly Point Park next to the beach. There is a kiosk café on the beach with some reasonably priced food if you don't manage to pack anything for snacks, lunch and dinner. There are also council operated toilets and beach showers right next to the kiosk café.